This is one of the places we longed to visit. We realize the best time to visit is night time when the bell tower is lit up. 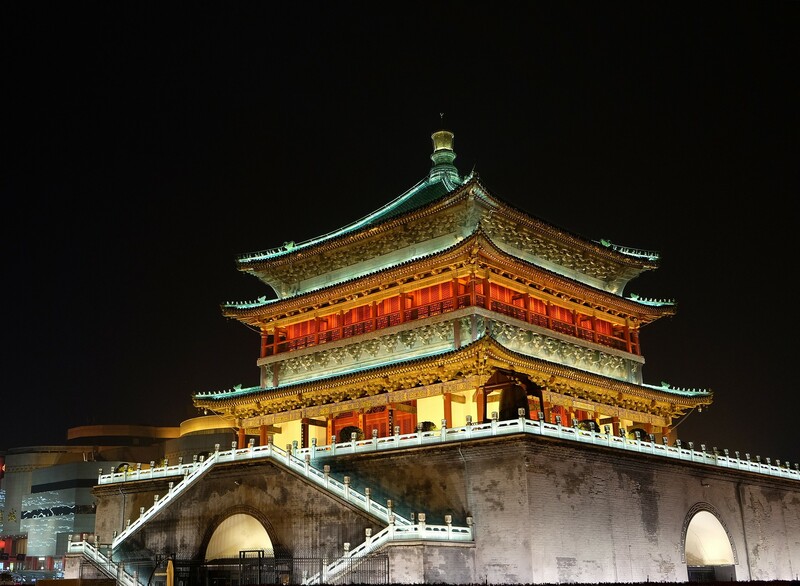 The tower was constructed with timber and bricks in 1384, Ming Dynasty and is one of the best example of its type in China. It houses some bells including ancient ones from the Tang Dynasty. Looks pretty at night – but this is definitely not how it looks in the Ming Dynasty when there were barely any electric bulbs!